This guide shows you how to Install Kodi 17.4 RC1 on Firestick or Fire TV. Basically we use Aptoide TV to to install Kodi 17.4 on Firestick for us. QuickLink: Skip to the “Install Kodi 17.4 on Firestick” part of this page. 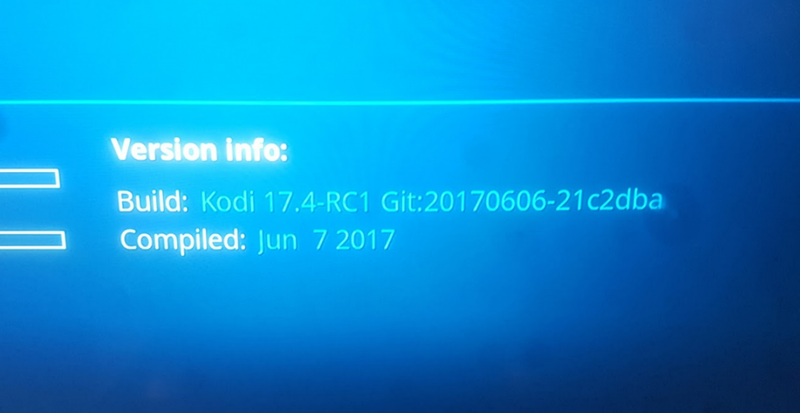 What is Kodi 17.4 RC1? Kodi 17.4 RC1 is (at the time of writing this tutorial) the latest version of Kodi, which is not yet stable and still in development. The “RC1” part of Kodi 17.4 RC1 stands for “Release Candidate 1“, which means this is like a beta version of Kodi 17.4. 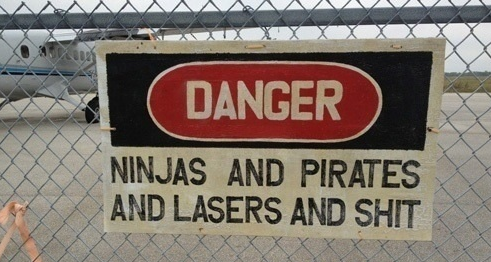 But it’s the version after the beta version. So it’s somewhat stable, relative to official Final Release versions of Kodi. But it’s not completely stable. Therefore, if you have your Kodi setup just the way you like it and you’d be upset if you had to start from scratch, then you probably shouldn’t try this. However, if you want to try Kodi 17.4 RC1 and you’re not worried about losing your existing TVAddons or Kodi Build in the process, then by all means carry on, install Kodi 17.4 RC1 + TVAddons, and enjoy. Use Kodi 17.4 RC1 at your own risk, because it’s still in development. Basically, I just installed Kodi 17.4 on Firestick using the method below (scroll down). And to my pleasant surprise, after I started up Kodi for the first time after installing Kodi 17.4, my TVAddons were still in-tact! Ok, so I only had 2 TVAddons installed before I upgraded Kodi 17.3 to Kodi 17.4 RC1. But this includes the awesome Bubbles Kodi addon and Quasar. I was so stoked to see that these TVAddons “migrated” automatically after I did the Kodi 17.4 Firestick install process. Furthermore, after I tested the Bubbles addon for Kodi, I found that the new Kodi 17.4 is just as fast, if not faster than Kodi 17.3 Krypton. 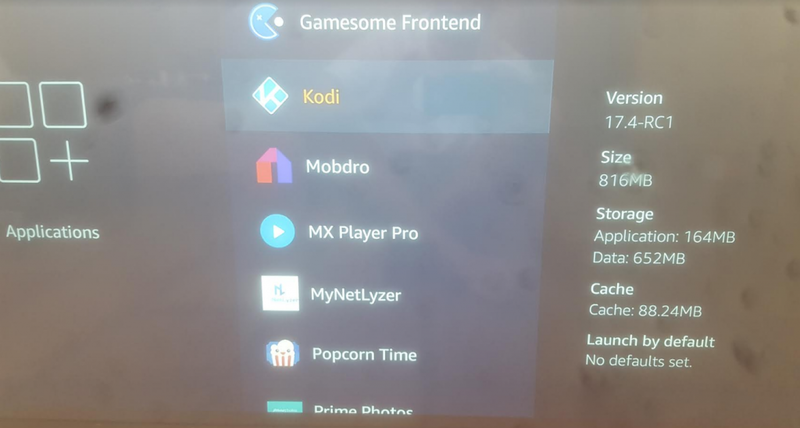 Kodi 17.4 TVAddons – Great Success! 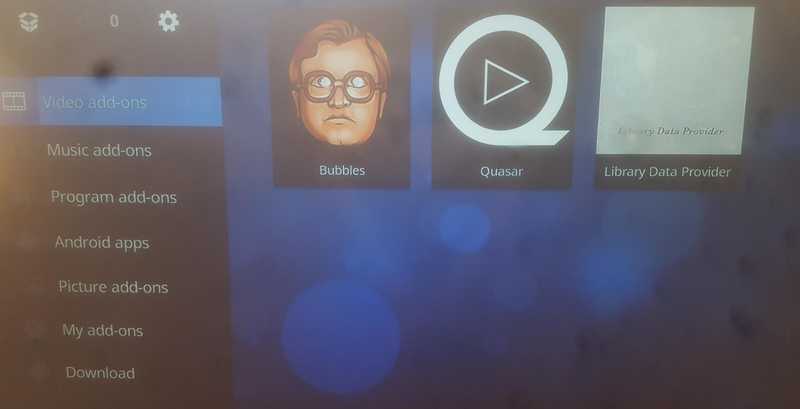 By the way, Bubbles Kodi Addon works great in Kodi 17.4 RC1. I was streaming an HD movie within just a few minutes after I did the Kodi 17.4 upgrade process (below). There are two parts to this tutorial: Part A, in which you install a third party app store. And Part B, which shows you how to use the app store to install Kodi 17.4 RC1 Krypton. 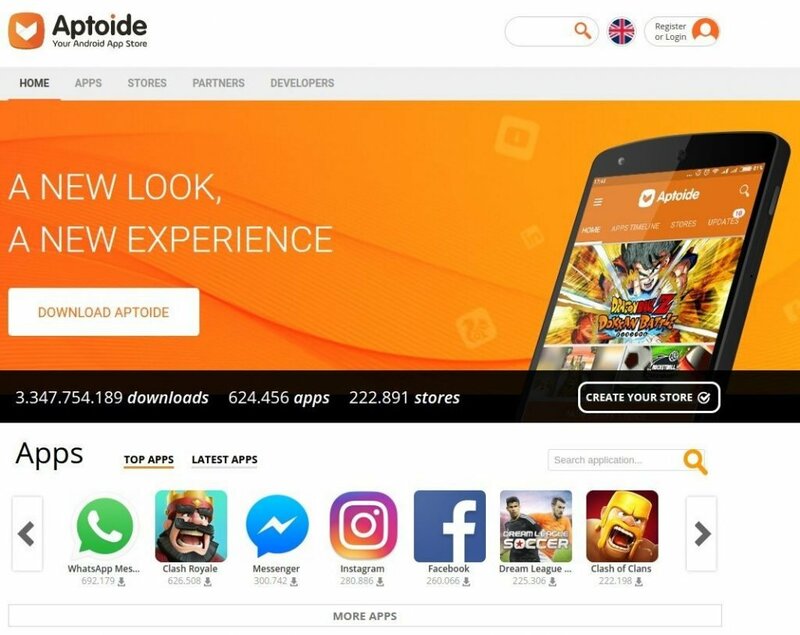 Here’s how to install the third-party app store called Aptoide TV, which makes it super easy to install Kodi 17.4 on Firestick, Fire TV, or Android. The link above takes you to the “How to Install Aptoide TV on Firestick or Fire TV” section of my “How to Install Show Box” guide. You basically just follow the instructions there to install Aptoide TV on Firestick. Then continue with the directions below to use Aptoide TV to install Kodi 17.4 RC1 on Firestick, Fire TV, or Android. Now find the latest version of Kodi (other than 18.0 alpha), which is 17.4 RC1 at the time of writing this article. Wait for Kodi 17.4 Update to download on your Firestick. When it’s done, select “Install“. Wait for Kodi to install on your Firestick. When it’s done, select “Open” to launch Kodi 17.4 RC1 for the first time. As Kodi starts up, the splash screen may display “Kodi 17.3 Krypton” – but don’t be fooled! 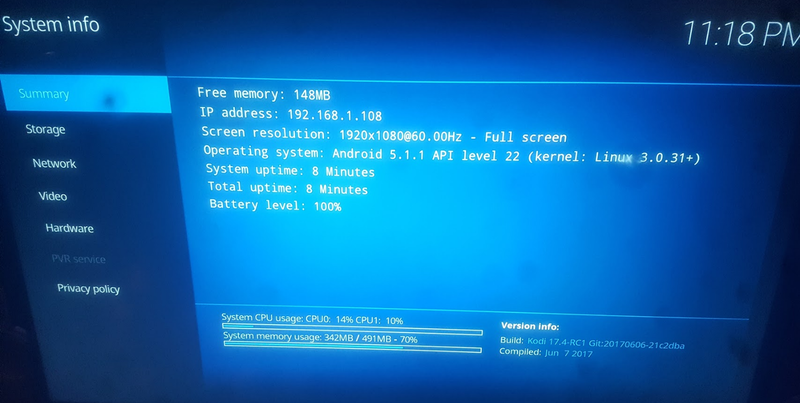 It’s Kodi 17.4 RC1. To prove it to yourself, go into System, then System Information. See “Version info” in the bottom right corner and you’ll see “Build: Kodi 17.4-RC1 Git:20170606-xyz123.” You’ll also see it was compiled June 7th, 2017. After Kodi 17.4 is installed on Firestick, install a Kodi build or TVAddons (yes, a Kodi 17.3 Build should work just fine on Kodi 17.4). Install the new Firestick VPN app to hide your IP address while streaming. Kodi Versioning: How Does it Work? Kodi Release Candidate versions are basically the versions of Kodi that appear after the beta versions. So the developers work out most of the bugs in the beta versions, then they use the most stable beta version as the first “Release Candidate”, or RC1. If RC1 is super stable, then it could potentially become the Final Release (v17.0, for example). But if the RC1 has too many bugs to be a Final Release, then the developers start fixing the bugs and then put out RC2 with the fixed bugs. The process continues until a stable version is developed. That stable version (of Kodi, in this case) then becomes the Final Release. In this article, the Final Release we’re talking about is Kodi 17.4 Final Release. For example, 1.0b3 (which includes bug-fixes) == 1.0rc1 (which, if it is stable enough) == 1.0. If 1.0rc1 has too many bugs, it turns into 1.0rc2, and so on. You may notice the “System CPU Usage” and “System memory usage” areas under the “Summary” tab of Kodi’s “System Info” pane. This is an accurate reading of your Firestick or Fire TV’s system resources. So, this is an easy way to monitor your device’s performance. For example, if there’s a memory-hogging app running in the background, then the System CPU usage will be above a “normal” range (normal being around 10% or less CPU usage on average). The screen resolution of your Kodi box (Firestick, Android TV Box, etc) is displayed next to the words “Screen resolution”. The version of Android your Firestick runs is listed next to “Operating System”. This is the base of Fire TV OS. The “base” is a stripped down version of Android OS. More Kodi 17.4 RC1 news coming soon… stay tuned on the KFireTV Facebook page. This is the absolute worst kodi buid ever. I had had a few but this is garbage! Don’t waste your time. Thanks for your comment Charlie!